As you probably know, yesterday Apple announced the new features of iOS 8 due in the fall. 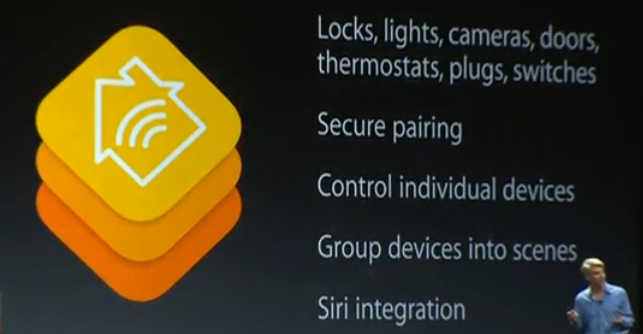 There were some interesting features, but of course the one I found most interesting is HomeKit. Details are still wildly vague, but the promise is an integrated protocol for all Home Automation devices to communicate with each other via your iPhone, accessible via Siri. This news comes on the heels of Microsoft’s announcement about supporting Insteon, so things are definitely developing in this space. C|Net has a clip of the announcement, and stay tuned here for more information on HomeKit as the details of the protocol come out and I’ve had a chance to check it out.